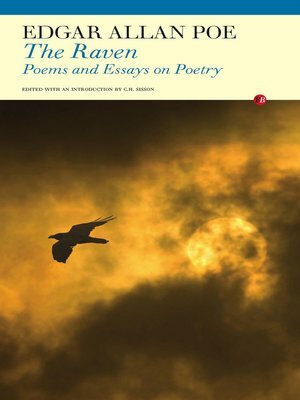 An indispensable collection of the work of one of the 19th century's most compelling and original poets, this comprehensive edition contains all of Edgar Allan Poe's poetry and three most important essays. Reissued to coincide with the release of a major Hollywood film of the same title, it exposes Poe's diversity and genius, from breathtakingly seductive beauty of "To Helen" to the claustrophobic horror of "The Raven." Unique in that it features the poetry of a writer more famous for his fiction, this book proves that Poe's work runs deeper than the American gothic genre. Edgar Allan Poe was a poet, short story writer, editor, critic, and one of the leaders of the American Romantics. C. H. Sisson was a poet, novelist, essayist, and polemicist. He is the author of the autobiography On the Lookout.